Fencing is used to protect wildlife against poaching and human encroachment, and also to protect people and livestock from wildlife. 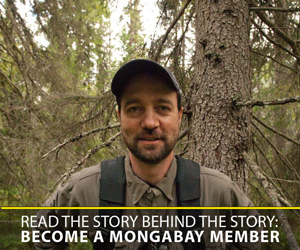 As a conservation strategy, it has proponents as well as detractors. A recent paper by a team of 45 international researchers in the Journal of Applied Ecology questions the wisdom of erecting wildlife fencing in dryland ecosystems. It also seeks to ease decision-making on fencing initiatives by setting a research agenda to answer open questions that will help resolve the debate. In Africa, wildlife fencing expanded rapidly during the 1960s and 1970s as a solution to human-wildlife conflicts. After a lull, the continent is once again witnessing a resurgence of fence building. Rwanda recently put up a 75-mile-long fence around Akagera National Park at a cost of $2.5 million. Uganda plans to fence all its parks, and Malawi may, too. A fence in the Gourma region in Mali. Its purpose is unknown. Photo by Jake Wall. But fences have come under fire for restricting animal movement, particularly in drylands, where enormous animal migrations occur as an adaptation to extreme and variable conditions and, the paper’s authors write, “mobility is essential for both wildlife and people.” Climate change is expected to exacerbate the situation. Fences have been blamed for the deaths of tens of thousands of migratory animals seeking water and food in times of drought, including wildebeests, giraffes, and various species of antelope. As a result, the intergovernmental Southern African Development Community and several conservation groups across Africa now advocate the widespread removal of fencing to restore wildlife populations that no longer thrive in small reserves. 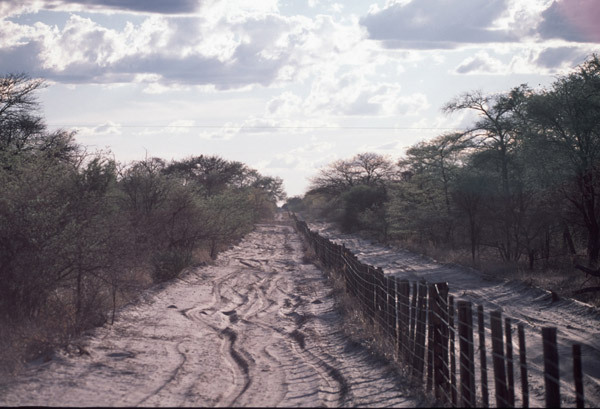 The Okavango veterinary fence in Botswana. Photo by Mark Johnstad. Yet scientific opinion on fencing appears to be divided. The paper points to a recent debate over the value of fencing for conservation of African lions (Panthera leo). One 2013 analysis of fenced and unfenced lion populations concluded that fencing was a cost-effective conservation strategy for lions and recommended it; another study examined the same populations and found the reverse, that more lions could be conserved per dollar spent in unfenced areas, without any of the ecological repercussions of fencing. The lion research notwithstanding, the paper points to limited evidence on the success of fencing in drylands. “Scientific understanding of the costs and benefits of fences is still in its infancy…and is currently inadequate to support sound policymaking,” the authors write. 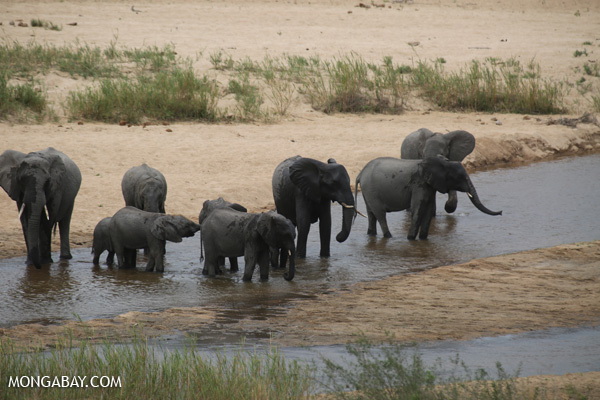 The researchers point out that keeping elephants fenced in a reserve keeps them from key areas with foraging and water resources that may be important for survival during extreme climatic events. Photo by: Rhett Butler. To fill the void, and ultimately to help settle the debate about fencing, the authors propose a research agenda covering six areas where, they write, “incomplete or poor information hinders the wise use of fencing”: monetary costs, permeability of fencing to wildlife, design of reserves to be fenced, effects on wildlife mobility, broader ecological effects, and effects on nearby human communities. The authors call for the development of guidelines to help conservationists better evaluate whether the installation of large-scale fences would be appropriate in a given area. They propose that the United Nations Convention on Migratory Species (CMS) would be an ideal body to lead the development of such guidelines on the basis of its expertise in management of fences and conservation of arid areas. In response, the CMS’s Scientific Council proposed forming a working group to take up the issue, according to the press release. 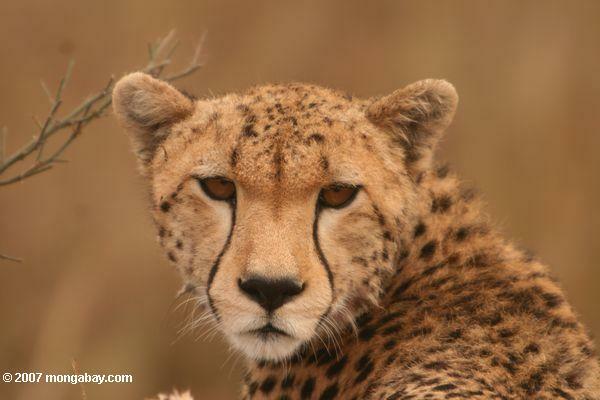 The cheetah is another species that could be negatively impacted by fencing. Photo by: Rhett Butler. Durant, S., et al. (2015). Developing policies for dryland ecosystems. Journal of Applied Ecology 52: 544–551. Packer, C., et al. (2013). Conserving large carnivores: dollars and fence. Ecology Letters 16: 635–641. Creel, S., Becker, M.S., Durant, S.M., M’Soka, J., Matandiko, W., Dickman, A.J. et al. (2013). Conserving large populations of lions – the argument for fences has holes. Ecology Letters 16: 1413–e3.